Fortune Minerals Limited is a North American development stage mining company and past producer with the vision to be a recognized expert in developing, mining and processing precious and specialty minerals projects. The Company is developing the NICO cobalt-gold-bismuth-copper project, comprised of a proposed mine and mill in Canada’s Northwest Territories & refinery in Saskatchewan, to become a vertically integrated producer of cobalt chemicals for the lithium-ion battery industry with over a million ounces of gold and 12% of global bismuth reserves as by-products. NICO will stand out as a North American cobalt chemical producer that is independent of the Congo, China, and copper & nickel primary production. Fortune also maintains a right to repurchase the Arctos anthracite coal deposits in northwest British Columbia and owns the Sue-Dianne copper-silver-gold deposit and other exploration projects in the Northwest Territories. With all assets located in North America, Fortune is positioned to become a reliable source of commodities needed in advanced technologies and to manufacture consumer goods for a growing world population. 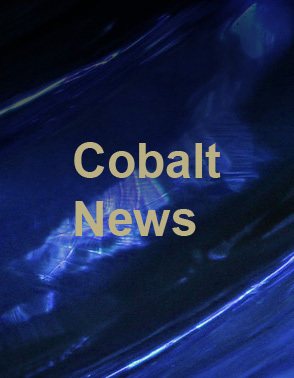 The Company’s primary asset contains important reserves of cobalt, gold and bismuth. Fortune’s common shares are listed on the Toronto Stock Exchange (FT) and trade in U.S. dollars on the OTCQB (FTMDF). Diversification. Fortune’s common shares provide diversified exposure to commodities that support an improved quality of life for a growing world population. Our mineral reserves have many important applications in everything from chemicals used to manufacture rechargeable batteries that power electric vehicles, to components in microchips, smartphones and electronics, to use in essential components of alternative and renewable energy systems. Fortune’s assets include significant gold and cobalt reserves, along with more than 10% of global bismuth reserves. NORTH AMERICAN FOCUS. All of Fortune’s development and exploration assets are located near infrastructure in northern Canada. With assets in mining friendly jurisdictions of a politically stable country, Fortune is positioned to become a reliable source of important commodities. This is a particularly critical role given the risk to the global supply chain with the geographic concentration of two of our commodities – cobalt and bismuth. DEVELOPMENT STAGE ASSETS WITH EXPANSION POTENTIAL. Fortune has a successful history of discovery and acquisition. We have aligned ourselves with strategic partners and secured an experienced team to move NICO towards commercial production. The path to commercial operations for a project can unlock significant value for investors as a company de-risks the assets and achieves cash flow. As a company with an advanced development asset, Fortune offers a lower risk profile than a pure exploration play. Additionally, Fortune’s assets have attractive expansion potential. NICO has significant exploration potential with untested mineral showings and geophysical anomalies. The Sue Dianne deposit in the Northwest Territories presents an excellent opportunity to supply incremental mill feed to extend the life of the NICO concentrator. Fortune also maintains a back-in right to repurchase the Arctos anthracite metallurgical coal deposits in British Columbia. Information presented in this website was accurate at the time of posting; however, some information may be superseded by subsequent disclosures. The reader is cautioned to review all postings to ensure they are aware of any updated information. You are leaving Fortune Minerals Limited's website to enter a third parties website. Fortune Minerals is not responsible for the contents of third parties' websites. Minerals Inc. All Rights Reserved.